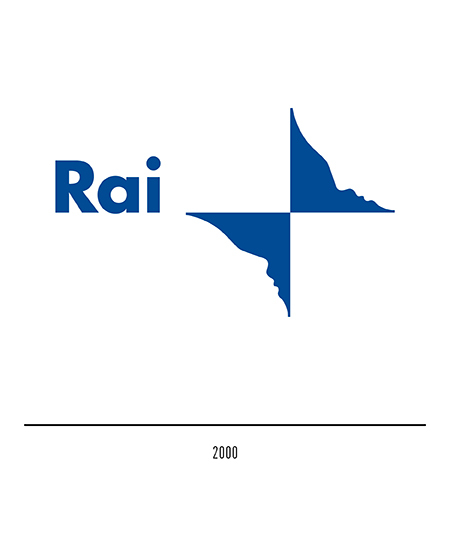 RAI, Italy's national public television company, has heavily influenced the country's life-styles and customs. 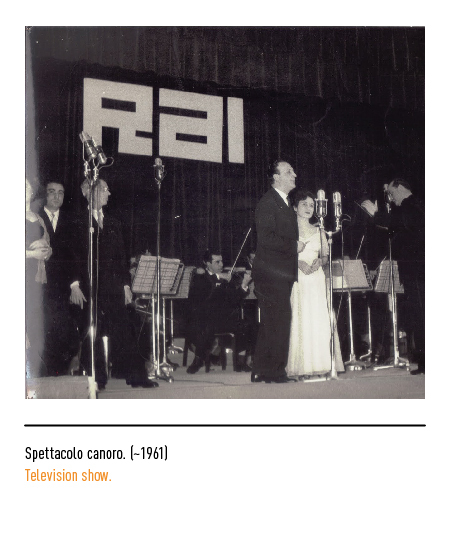 Its origins however pre-date the onset of television itself and can be traced back to 1924 when a company named URI (Unione Radiofonica Italiana) was set up in Rome following on the merger of another two companies, Radiofono (Società italiana per le radiocomunicazioni circolari) and SIRAC (Società italiana radio audizioni circolari). 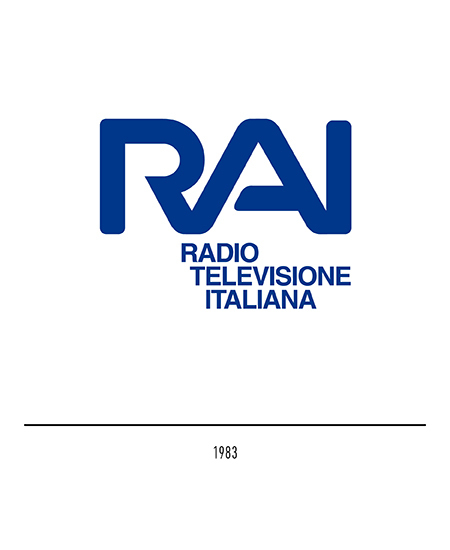 But before becoming "RAI Radiotelevisione italiana" in 1954 with the first regular television broadcast in Italy, in 1927 the company was called EIAR (Ente italiano audizioni radiofoniche) and in 1944 RAI (Radio audizioni italiane). 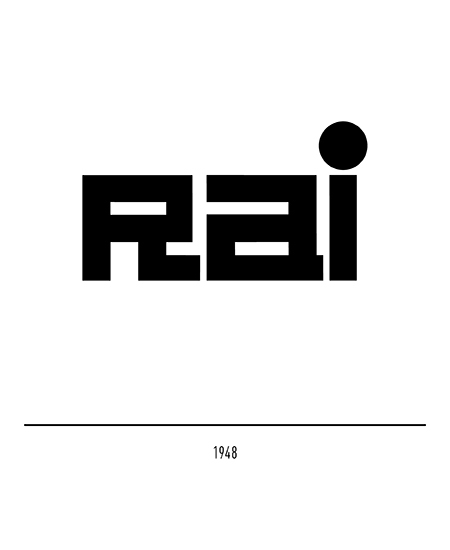 RAI's first logo was designed by Erberto Carboni in 1948 and featured very broad lettering and liberally used orthogonal lines in keeping with contemporary trends in graphic design. 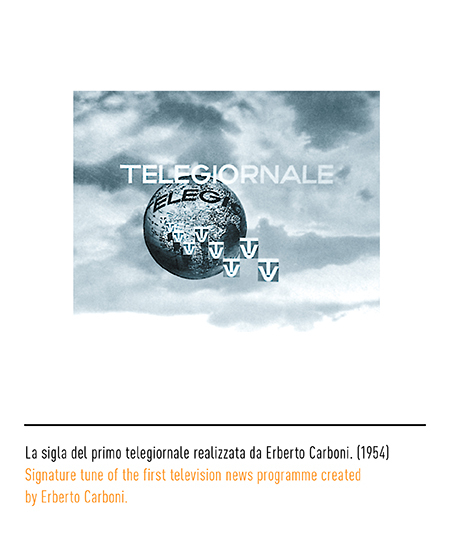 In addition to this logo and its use in printed advertisements, Carboni designed the first television scrren logos as also the TV logo of 1953. 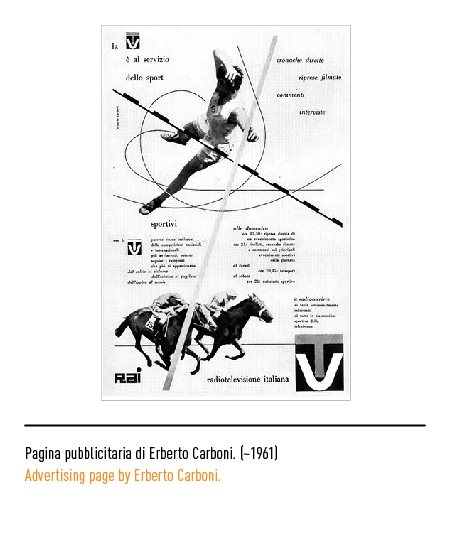 The second mark in 1970 was the work of Alberto Ribera who was in charge of the networks graphics department. 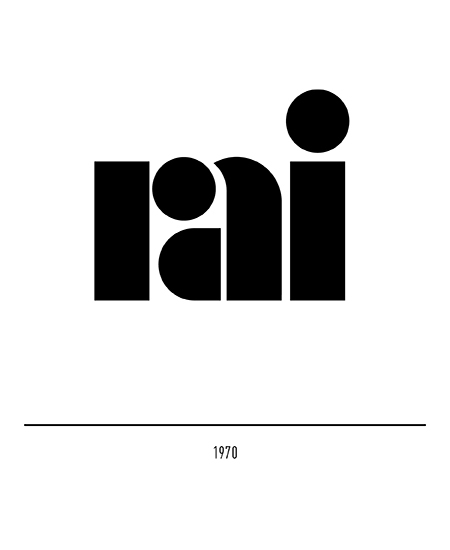 The device featured lower case lettering, some of which still very broad, with curved lines especially emphasised in the chunky dot on the "i" that was similar to the hooks of the "r" and "a". 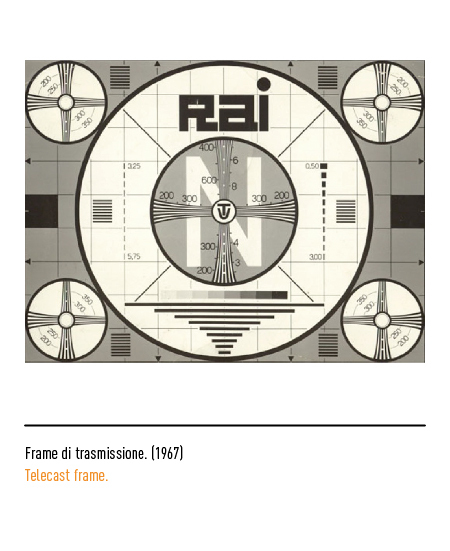 The arrival of colour television in 1977 and the opening two years later of the third national and regional network channel called for a new mark that while being distinctly corporate was also flexible enough to allow for variations to identify the three RAI channels. 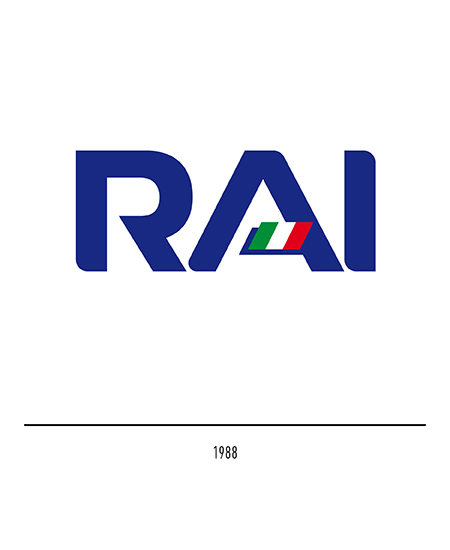 Giorgio Macchi came up with the solution in 1983. 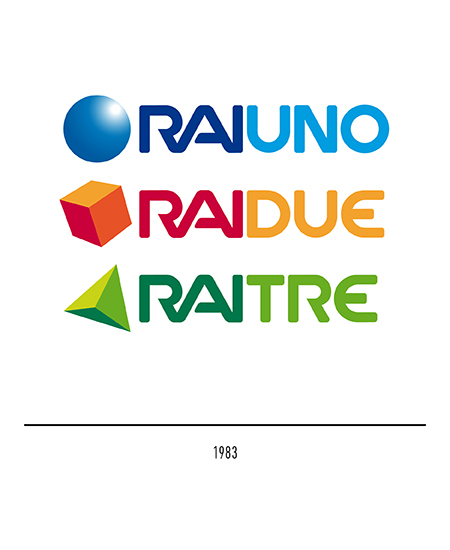 Basically sharing the same mark comprising three mutually touching blunt upper case letters, each of the three channels was distinguished by a symbol of its own that intuitively conveyed the number of the channel itself, namely a blue sphere for Rai Uno, a red cube for Rai Due, and a green triangle for Rai Tre. But the new device only lasted as far as 1988. 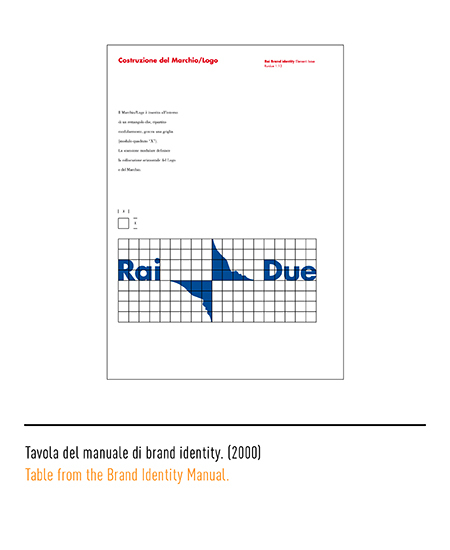 Strong competition from private networks and every more advanced electronic and digital animation techniques induced the management to request Giorgio Macchi to restyle the mark. 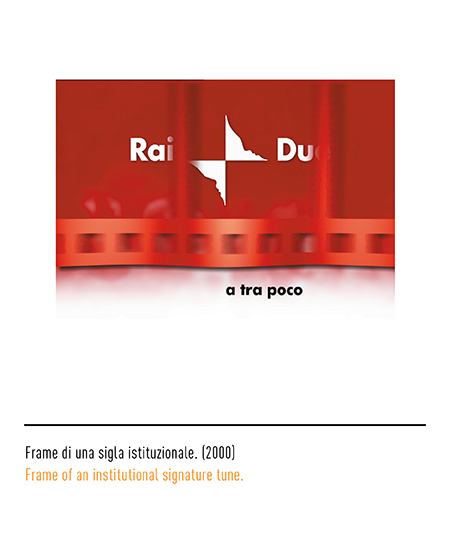 The letters were separated out so as to permit their rotation and hence enhance the 3D effect, and the Italian national flag was also added, while lettering was redesigned but without changing the overall perception of the mark that remained similar to the previous one. 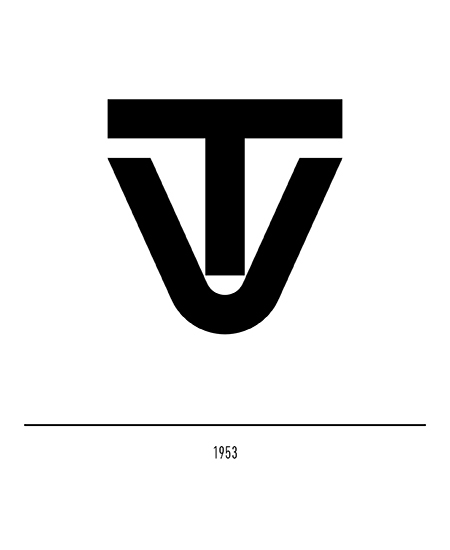 More precisely, this effect was achieved by blunting each letter in only in two points diagonally opposite each other. 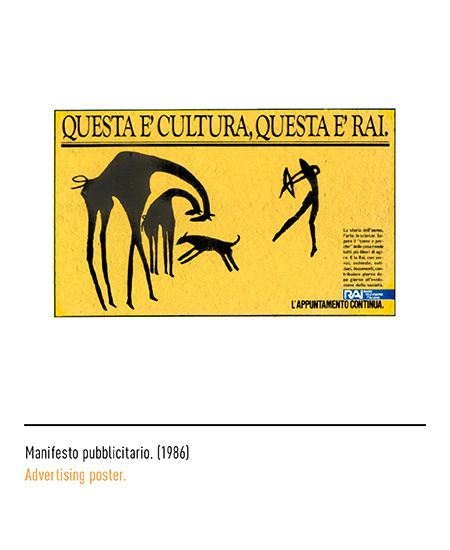 The mark thus acquired considerably in terms of greater solidity, improved legibility, and added modernity. 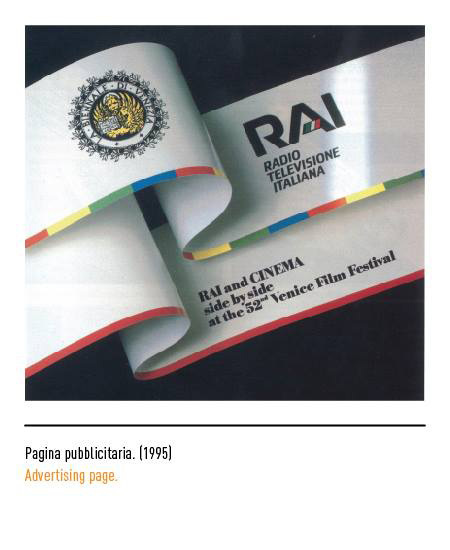 Area Strategic was commissioned in 2000 to come up with a new idea consonant with the latest developments in interactive communications. 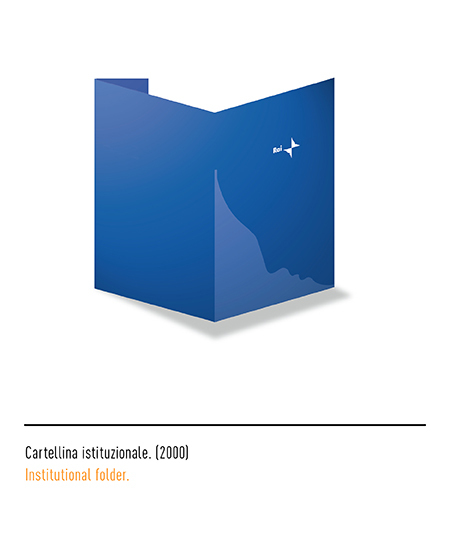 By means of a clever play of figure and background an optical illusion is created in which the image of a butterfly made up of two identical and symmetrically opposing elements alternates with that of two human profiles facing each other and instantly communicating. 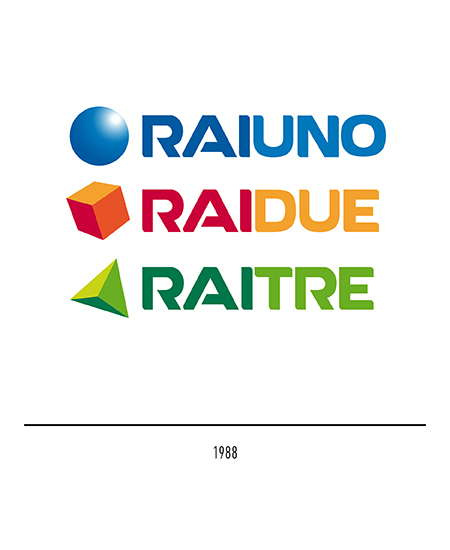 Capitalized Futura-style lettering has been used for the word "RAI". 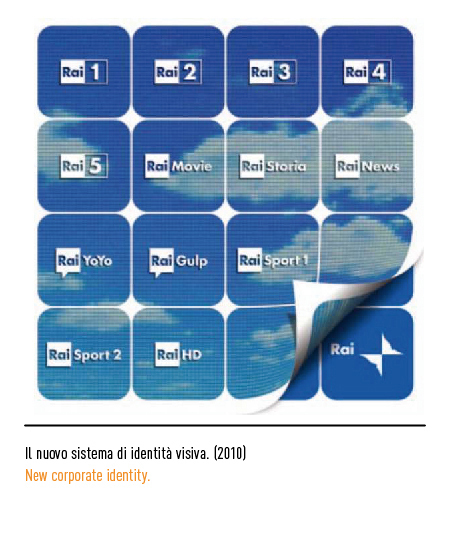 In 2010, accordingly to the passage to digital TV, Rai uniforms the different logos using a rectangle formed by two triangles: in the first one, a name of the firm in white lies on a blue background, while in the second the number of the channel appears in digits. 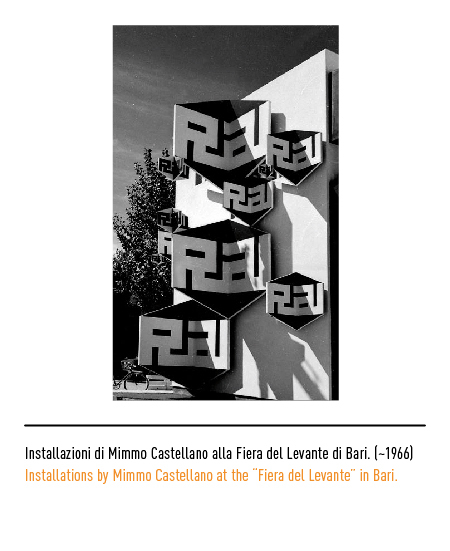 The font is Ahroni, a variation of Futura. 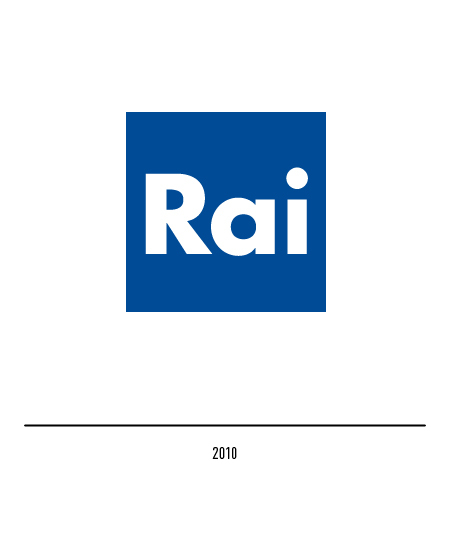 The logos are white and demi-transparent in order to avoid the overlay effect and it is rectangular so to fit in a 16:9 format. 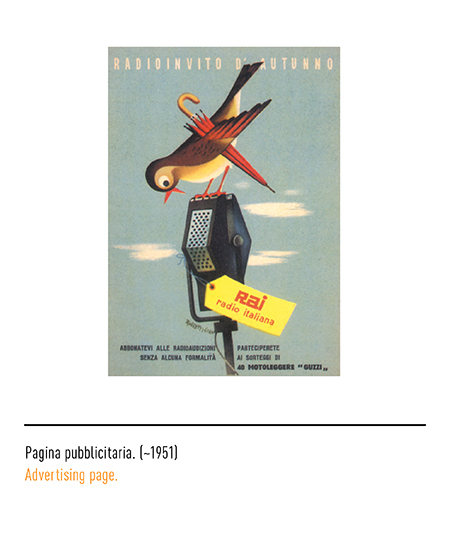 Giorgio Macchi, “I marchi più visti dagli italiani”, in Grafica & Disegno, n.4, nov. / dic. 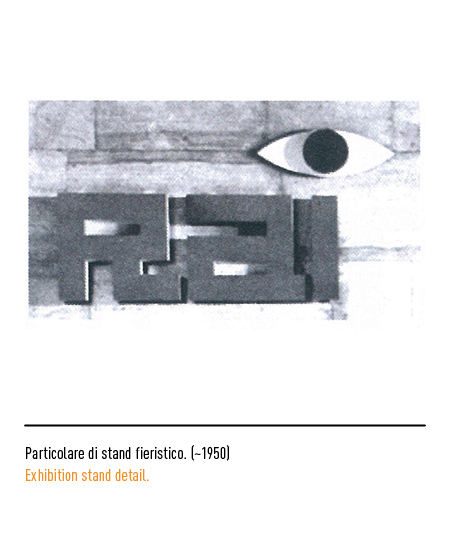 1992, Ikon Editrice, Milano.